Having a purpose in life makes you feel more productive, more focused and happier. Having a purpose in life makes you feel more productive, more focused and happier. Knowing where you want to be is something that most people wish for, but unfortunately, not a lot of people have. Sometimes you may know where you want to be but aren’t sure about how to get there. If this sounds like you then you’re in luck. If you’re around the Lancaster Gate Hotel on the 23rd of February, then get a ticket to this amazing event held by and Kate Iroegbu Nick Ronald. This event, titled ‘Key to Unlock your Potential’ will help provide people with the tools, skills and right mind-set to achieve their potential. Are you one of the many people wanting to change and improve their life in some way? This event will help people come with an idea and leave with a plan. As well as Nick and Kate and other international motivational speakers, there will be an expert on Project Management, a Wealth Coach, a Vocal Coach, and NLP expert to offer you everything you need to change any area of your life. Learn from the experts and leave with the confidence and knowledge to do it. Kate is a renowned motivational speaker whom you may recognise from her successful YouTube channel ‘Kate O Show’. Between them they have a lot of experience in helping people achieve their goals and giving people the right mind-set to do the things they want. But they are not the only speakers at this great event. So, whatever you want to achieve you are bound to find some words of wisdom to help you. Kate Iroegbu happens to come from a science background with two B.Sc.’s honours degree in Microbiology from the University College Dublin, and Delta State University, Abraka, Nigeria. 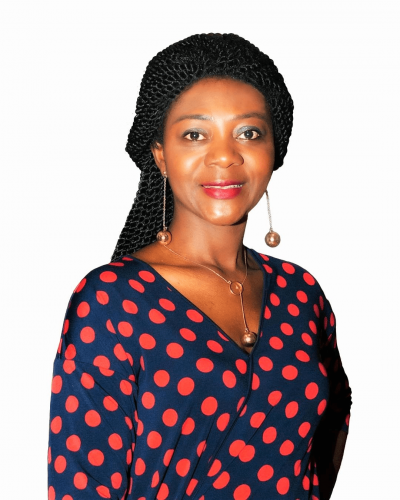 She also obtained an MBA in Marketing and business administration from Lagos State University, Nigeria, and training on personal development, and life coaching. And in the process of obtaining a Diploma in Life Performance Coaching from one of the best in the coaching industry, The Coaching Academy. Kate worked as a Senior Cabin Crew with Virgin Atlantic Airways in the past and worked briefly in Public Relations, Customer Service and as a Medical Laboratory Assistance in several hospitals in London. Kate have been through several difficult situations in life but found her calling in her challenges and now helping many to overcome their difficulties. She is the Director/CEO of TriumphInTheMidstOfAdversity.Com Ltd, a company founded in order to help many fulfil their potential, she launched two powerful coaching programs “Adversity to Triumph” and a Premium Best-Selling Coaching to Fulfilment all geared to help many fulfil their potential as 92% of the world population fail to fulfil their potential. Those who are unable to find a way out of their difficulties will not only learn from Kate how to handle difficulties, in order to overcome any situation but they will also learn how to turn their adversity to triumph. Visit www.TriumphInTheMidstOfAdversity.Com for further details. Nick has been a communications professional for 25 years, as well as a public speaker and author. After following his passion for writing and understanding people, he studied English and Sociology at University. Qualified in NLP and CBT, Nick uses his knowledge of human behaviour to help people influence their audience to grow their business or improve relationships. An entrepreneur with businesses interests in health and books and founder of the Secret Influence TV YouTube channel, Nick is passionate about helping others reach their potential. If you attend this event you will have the choice to receive a brochure on how to achieve your goals, six weeks coaching from Nick and Kate themselves and a signed copy of Triumph in the Midst of Adversity, an inspirational and transformative book where Kate shared some difficult situation she went through and the knowledge that will help countless people handle difficulties and overcome adversity. She also shared her eight key strategies to handle adversity that led to ultimate triumph and receive a copy of Secret Influence, how to communicate with power. You will also receive access to six webinar sessions to listen to at your leisure – designed specifically for you and to help you meet your needs. Anyone who is looking to make a change in life, whether that’s a career change, start or grow a business or progress your career should give this event a go. It will be inspirational, educating and hopefully life-changing.